When discussing a vehicle’s power, talking about the engines is an important factor. The 2017 Jaguar XJ brings power to the Rumson road because it offers three different engine types. Standard is the 3.0L V6 supercharged engine that delivers an incredible 340 hp and 332 lb-ft of torque for an exceptional ride. In addition, you can count on this engine to get you from 0-60 in only 5.7 seconds, so you can easily make a statement as you leave the line. If you’re looking for a little something extra, upgrade to the 5.0L V8 supercharged engine that offers 470 hp. This is perfect for those Colts Neck drivers that need more rev and power when behind the wheel. Plus, this model will go from 0-60 in only 4.9 seconds, which means you’ll get more everything. Finally, for those who truly want to feel the power underneath their fingertips, the 5.0L V8 supercharged can also deliver an impressive 550 hp and go from 0-60 in only 4.4 seconds. So no matter what type of power and performance you’re looking for in Holmdel, the 2017 Jaguar XJ was made to excite. Thanks to the impressive Adaptive Dynamics, Rumson drivers can experience more seamless driving. This feature analyzes the vehicle’s speed, steering and body movements, ensuring that you always have the best possible handling at all times, no matter what type of road or weather conditions you may face along the way. The Jaguar brand knows that drivers want complete control, and the JaguarDrive Control feature puts this ability in the palm of your hand. Using an easy-to-reach knob, you can receive the driving features that make the most sense for your needs. 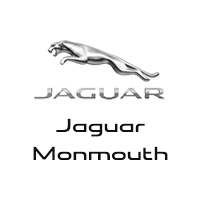 When you want to experience the power and performance of the 2017 Jaguar XJ, let the experts at Jaguar Monmouth help. We have a large selection of this model for you to choose from, so visit our showroom at 807 NJ-35 in Ocean, NJ. For more information on our dealership or financing, contact us at (877) 672-8680.